So did you watch it? What did you think? I've been getting mixed reviews from my girlfriends about the remake. Unfortunately, I didn't have an opportunity to watch for myself because I was traveling. So please let me know what you think. Was the remake worth it or should they have left well enough alone. I only watched a portion of it. I was happy about these great women working together but I didn't quite understand why the producers chose to remake Steel Magnolias with them. To me there could have been another project to showcase these women and black female friendships. From what I saw, it doesn't appear that they changed the script at all. Of course there was the occasional modern day references but beyond that it was exactly the same and that made me disinterested. To me they didn't really make it their own. I've seen the original all too many times because my family recorded it on the same tape as Dwayne and Whitley's wedding. That was a go to tape on many boring summer days as a teenager. So I remember much more of the script than I realized. Not to stereotype and define what is southern, I do not think the original script fits the typical southern black woman. When I first heard that Queen Latifah was going to be M'lynne, I wasn't all that happy. She is just too young to play someone with a grown daughter. 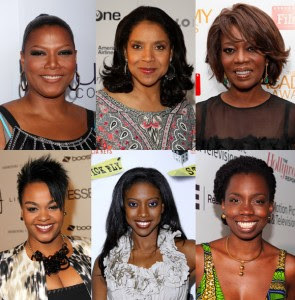 I would've much rather Phylicia Rashad been M'lynne. That would've been a great dynamic to see with her being the on-screen mom to her real daughter. I'm glad it received high ratings. Hopefully it received good enough reviews so that maybe more black women will be given more acting work.